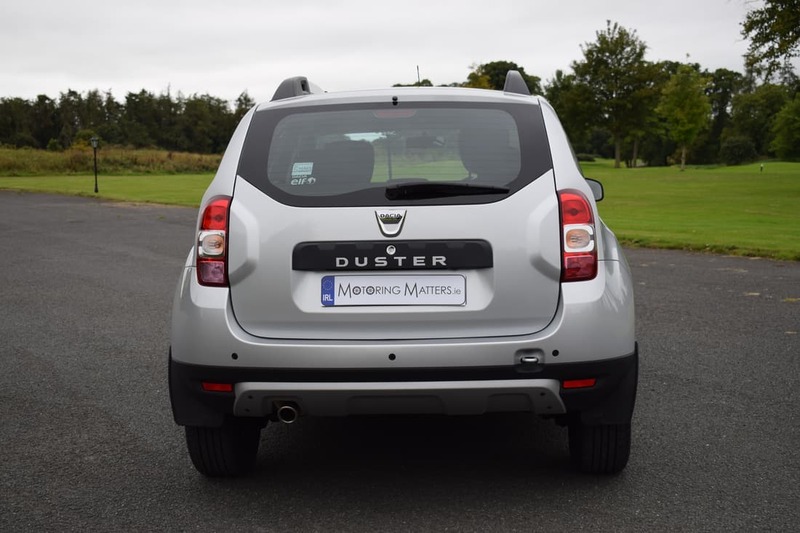 The Dacia range of cars and SUV’s were launched onto the Irish market in 2012 and the brand’s Duster has been a strong seller for Dacia since then. 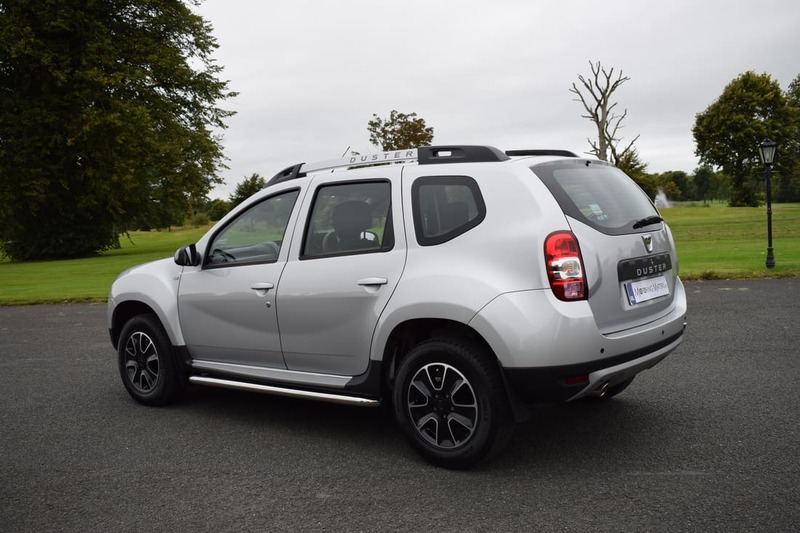 However, in order to keep it in contention, Dacia’s parent company, Renault (part of the Renault-Nissan alliance), have face-lifted the Duster and have added a 6-speed automatic gearbox for the first time. 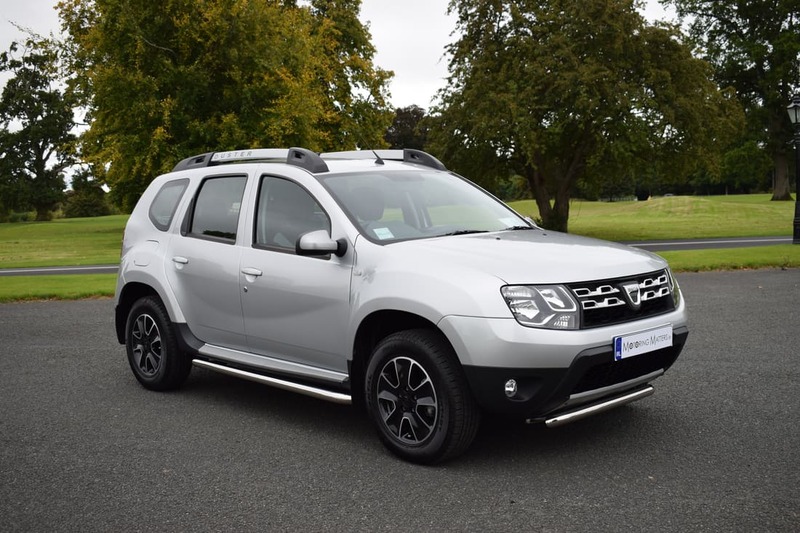 The Dacia Duster is a small, rugged SUV that is priced similar to many small family hatchbacks from more established brands. The Duster uses underpinnings from Renault and Nissan models and now also uses Renault’s advanced six-speed dual-clutch EDC gearbox. 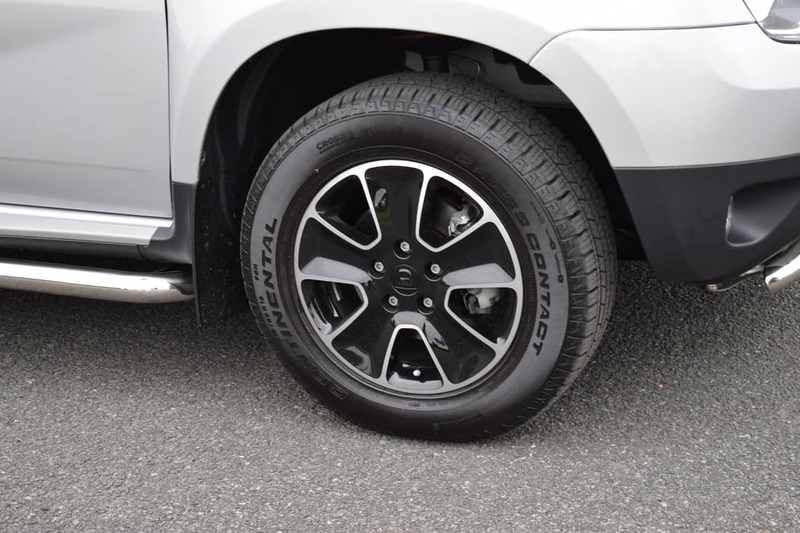 In 2016 the Duster benefited from a minor face-lift, which included new alloy wheels, a more modern front grille and a new range of colours. 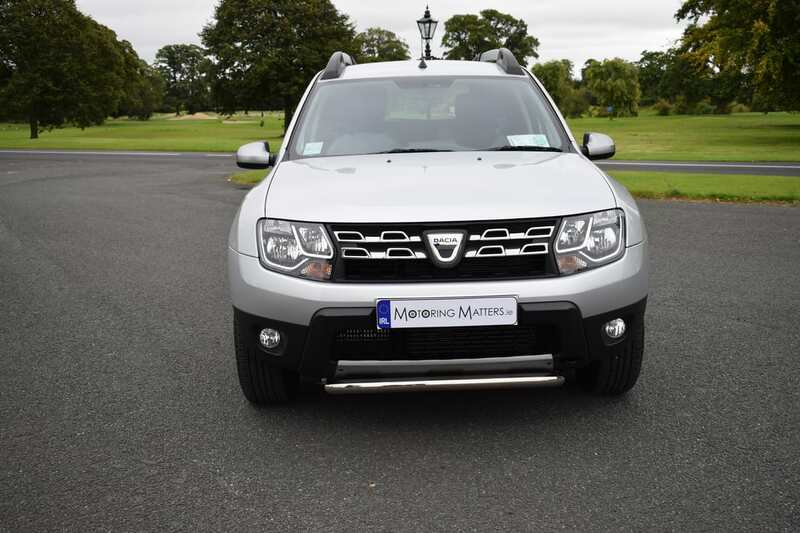 The Duster model range comprises 4 specification levels – Alternative, Signature, Prestige and SE Summit, while just one engine is available across the range. 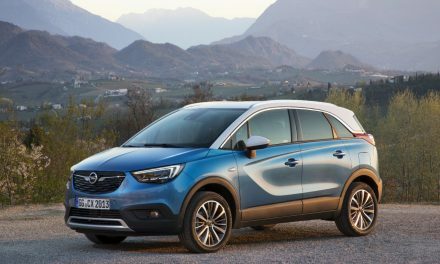 This power-plant is a 1.5-litre Turbo Diesel (dCi) producing 110bhp and 260Nm of torque, and has been well tried and tested in numerous Renault and Nissan cars over the last few years, so reliability is a certainty. All models across the range include such features as double optic headlights, chrome front grille, longitudinal roof bars with ‘Duster’ inscription, ABS and Emergency Brake Assist, ESC (Electronic Stability Control) with ASR (Traction Control), driver, passenger and side airbags, height-adjustable front headrests, height-adjustable front seatbelts, 3 x 3-point rear seatbelts, ISOFIX points for child seats in both outer rear seats, electronic immobiliser & remote central locking, Stop & Start and daytime running lights. 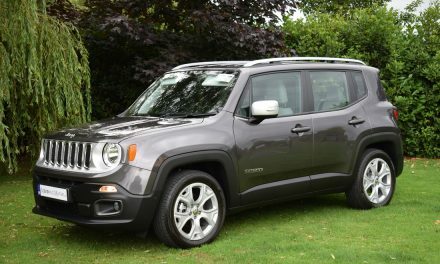 My test car was a Duster in Prestige trim mated to a 6-speed automatic gearbox and was finished in silver metallic paintwork. 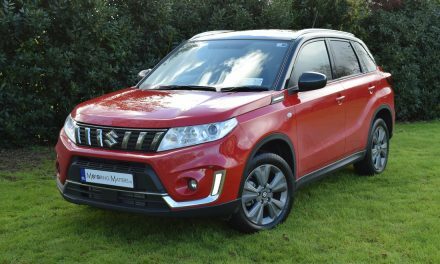 Prestige trim also includes such items as 16” diamond – cut alloy wheels, MediaNav satellite navigation, Bluetooth, reversing camera and rear parking sensors. My car also had the optional spare tyre and wheel which is available at a cost of €100, otherwise a tyre inflation kit is supplied. 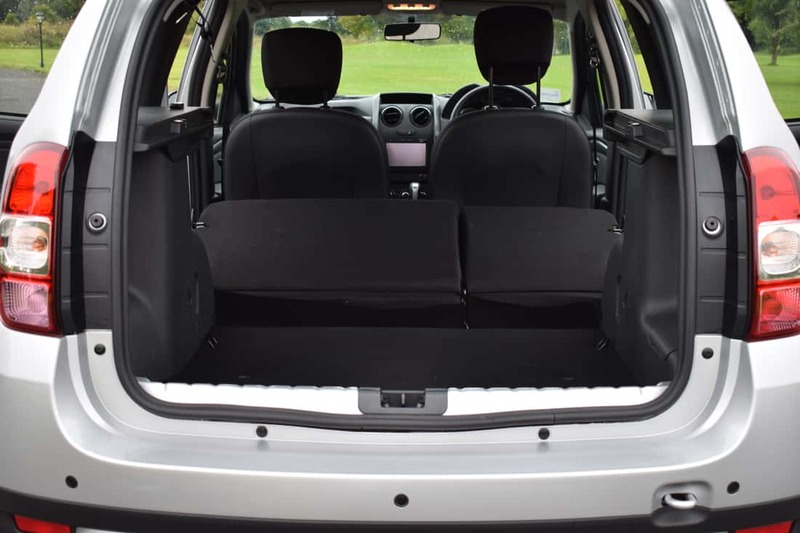 The Dacia Duster seats five adults comfortably, while boot space is also a strong point, with a 475-litre boot that expands to 1,636 litres with the seats down. 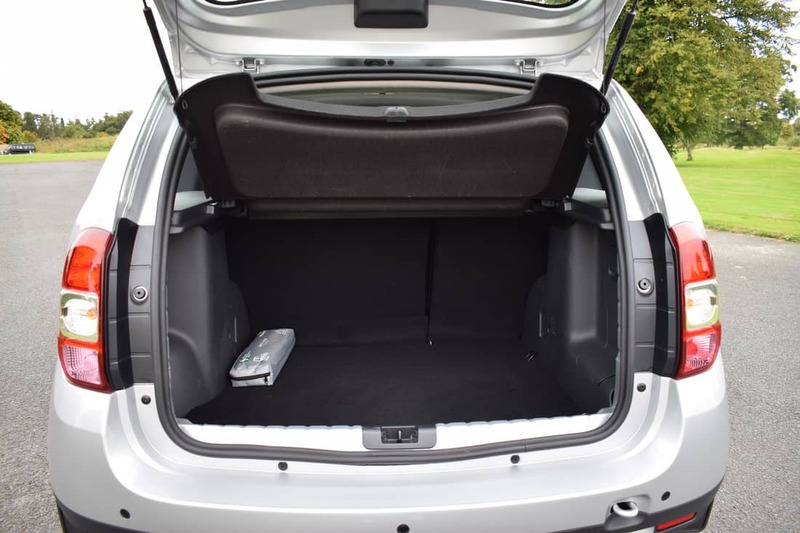 By folding down the front and rear passenger seats, you can access 2.60 cubic-metres of loading space and drive with a closed boot for complete peace of mind. Dash-board design is minimalistic and takes a bit of getting used to. Fuel consumption can be as low as 4.4-litres/100km on a combined driving cycle and, due to low Co2 emissions, annual road tax is a very reasonable €200 in automatic guise. 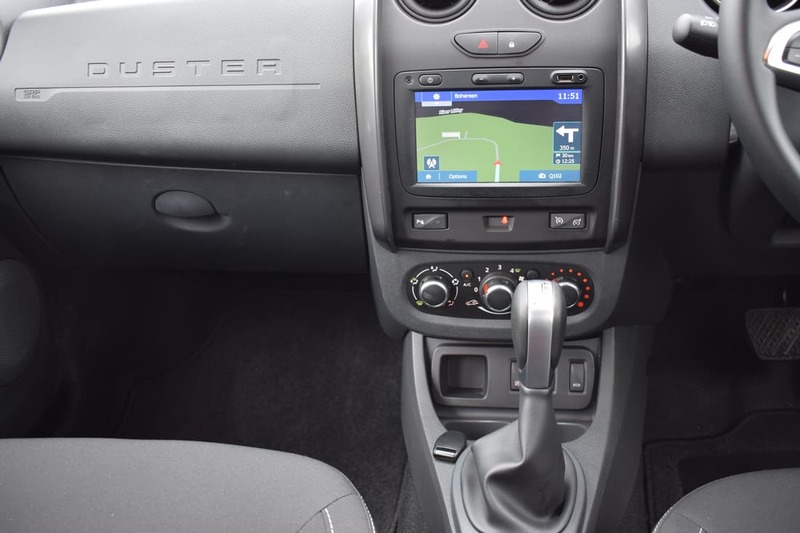 The Dacia Duster is a simple, straightforward car and this is reflected in the way it drives. Long-travel suspension and a soft set-up means the car absorbs bad bumps with great composure. The steering wheel weights up considerably in corners, which means that you can actually feel what’s going on with the tyres. 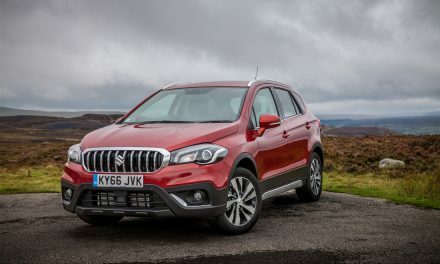 The Duster’s comfortable ride is more conducive at a slower pace, where the car makes more sense. A Euro NCAP 3 star rating was awarded to the Duster upon its initial launch and this rating is now out-classed by more modern rivals. 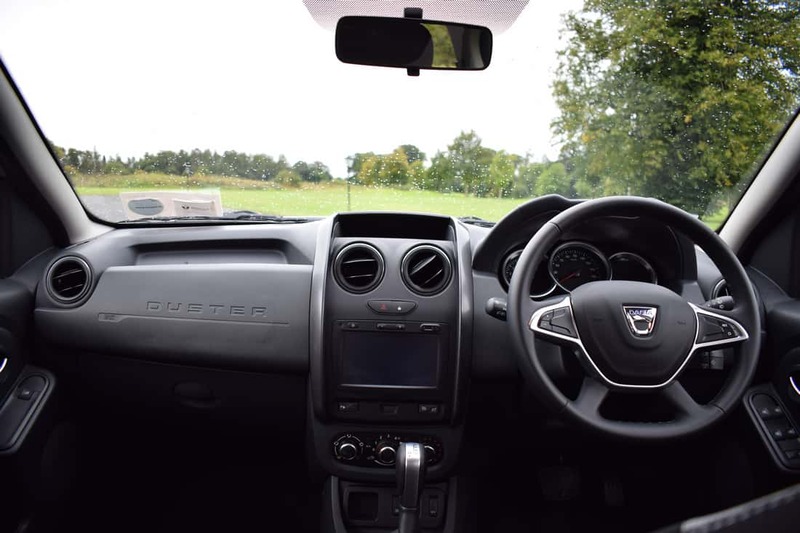 However, the Duster does fight back with a flexible interior, appealing looks and decent driving dynamics. The high ride height and rugged materials gives it a ‘go-anywhere’ feel as well. 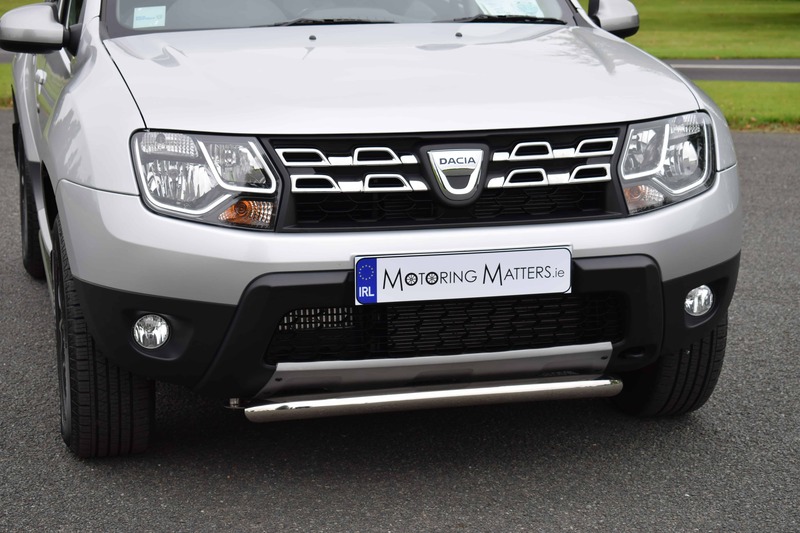 Prices for the face-lifted Dacia Duster start at €16,690 and a 3-year /100,000km warranty comes as standard, while a further two years can be added at an extra cost.